Thompsound Music is violinist Billy Thompson‘s music production company. The three main services currently offered are the Recording Studio, Location Recording and an Online Session Musician service. The Recording Studio is best suited to solo projects and is perfect for a singer/songwriter or other solo artist to build up a project. Having said that, the premises are more than adequate for a small band to record live should this be what is required. There are more than enough channels to accommodate this. The Location Recording service allows Billy to come to you wherever you are. So the project can be recorded at your desired space. This is particularly useful for choirs or other large groups – or if there is a special gig your band would like recorded then we can come to you. The Online Session Musician service offers World class session musicians for music, TV and film projects. To date, clients from around the US, South Korea, London and elsewhere in the UK have used this service with great success. The latest big project to come out of Thompsound Music is Dolennu – an original rock violin and looping project with composer Warren Greveson featuring Steve Roberts on Drums. The current project bring recorded at Thompsound Music is a new release by the folk violinist Cass Meurig. Since receiving Prince’s Trust funding whilst living in Cardiff in 1999, Thompsound Music has been producing music for various artists and the media. Using a range of Pro Tools systems, Thompsound Music incorporates the skills Billy develops in the music business into an all-round creative environment. At the core of Thompsound Music’s studio is Digidesign’s Pro Tools LE 003 Factory and Focusrite Octopre with an Apple Mac G5. This system allows for up to 16 simultaneous inputs. For location recording Thompsound Music uses Digidesign’s Pro Tools LE 002 Rack with a MacBook Pro. 16 simultaneous inputs are available with 64 tracks available come mixdown. With a fine array of mics and plug-ins including the Waves Platinum collection your project can be recorded from scratch right up to a finished Master. Amongst other projects, Thompsound Music recorded, mixed and mastered Meic Stevens‘ 2002 album ‘Ysbryd Solva’ for the Welsh label Sain. In 2006 Thompsound Music produced Amledd‘s debut album Cyfnod Cyntaf. 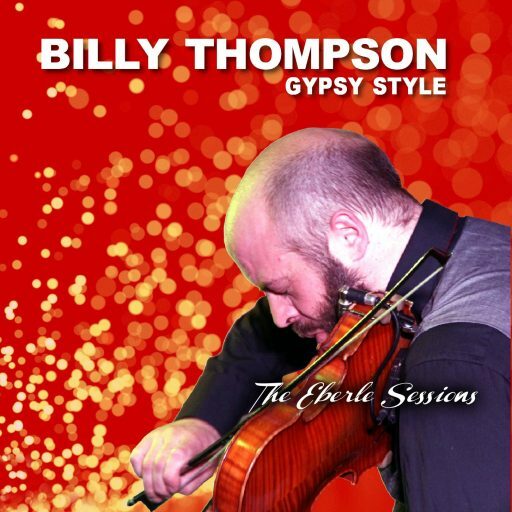 With the completion of the new studio premises in 2009 came the release of Billy Thompson Gypsy Style Live. This was a live recording of a concert by Billy’s band which he recorded himself and then mixed in the studio. There was also the live recording of a concert by Tango 5 in Sheffield which Billy recorded and then mixed back in the studio. 2011 saw the long awaited release of Dave Elwyn’s debut album Raw Blues. Mixed and Mastered at Thompsound Music, much of this album was also Recorded at Thompsound Music including the string section to ‘Know it All’. 2016’s big project was an original album by a wonderful singer/songwriter by the name of Gavin Crisfield. Released in April 2017, this album – ‘The Buckling Point’ – is now getting frequent radio play on the large French radio station FIP. Billy performs with this artist when visiting France in the summer. 2017 saw Thompsound Music record an album for Tacla. Tacla is the Welsh language project of the Gypsy Jazz influenced guitarist and raconteur Tegid Roberts. The full album will be ready soon. Click on the link for the EP on Soundcloud. 2018’s main studio project so far at Thompsound Music has been recording an album for Cass Meurig. ‘Taith’ (‘Journey’) is a collection of spiritual songs reflecting on her personal journey over the last few years. There is also the long awaited ‘difficult first album’ by Eryl Jones on its way. More details and sound clips of some of the projects can be found on the Portfolio page.